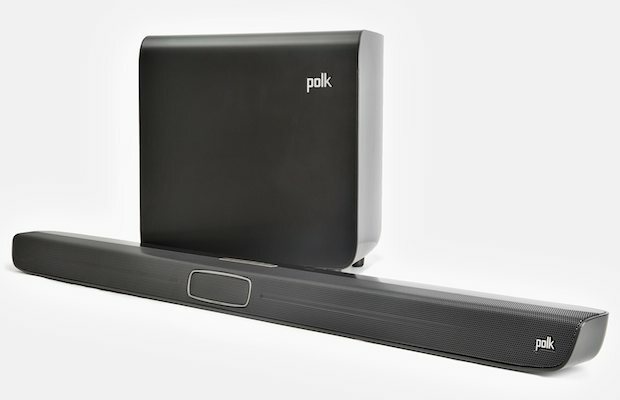 Polk just released a voice-optimizing wireless sound bar with wireless subwoofer, called MagniFi. The $500 speaker system promises easy setup, while its patent pending Polk VoiceAdjust Technology optimizes dialogue regardless of where you are sitting in the room. Alternatively, sound direction can be tweaked so only you will hear center channel dialog after hours, without disturbing others. VoiceAdjust Technology uses an adjustable three element line array with the center driver receiving the greater share of the bandwidth in order to provide clean clear, crisp dialogue, whether you’re sitting directly in front of the TV or off to the side. Music and Movie Immersion Modes tailor the MagniFi Sound Bar for a more immersive listening experience. MagniFi is a minimalist design solution for anyone looking for a home theater system that can bring big, enveloping sound to all their TV and movie viewing. In addition, integrated Bluetooth with aptX deliver CD-quality sound from your smartphone, tablet or other compatible device. Polk’s exclusive Full Complement Bass Drive Technology in the bar improves lower midrange, upper bass tonal richness, fast transient response and overall output capability. Built-in Critically Tuned Ports provide optimum blending of mid-range and subwoofer. Bluetooth Wireless Technology with aptX delivers CD-quality sound from your smartphone, tablet or other compatible device. Near Field Communication (NFC) offers the ease and convenience of simply touching your Bluetooth device to pair and connect. 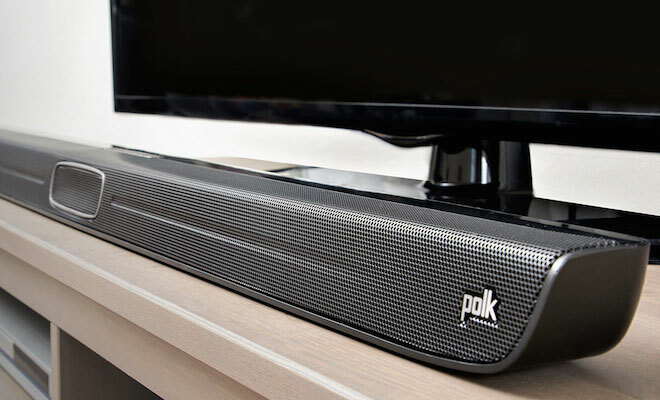 DJ Stream is the free Polk app that enables up to four connected devices to build and stream music through the MagniFi Sound Bar. Compact wireless 7” Subwoofer eliminates the hassles and clutter of wires. Dolby Digital Decoding, including Dolby Digital 5.1 and 2.0. 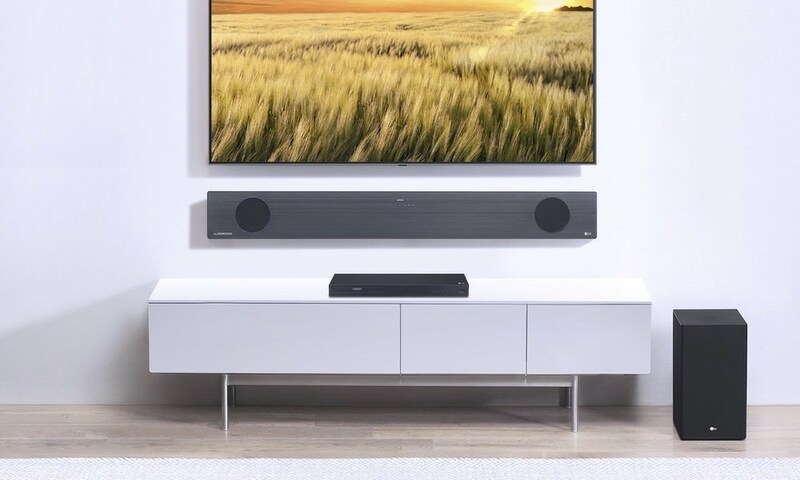 Sound Bar / Subwoofer Time Alignment recognizes when subwoofer signals are transmitted wirelessly, then ensures the sound bar’s and subwoofer’s acoustic output arrive coincidently (time-coherently) for optimal transients and seamless blending through the crossover range. Bass Control allows for adjustment to optimize subwoofer room position. The Polk Audio MagniFi is available now for $499.95.